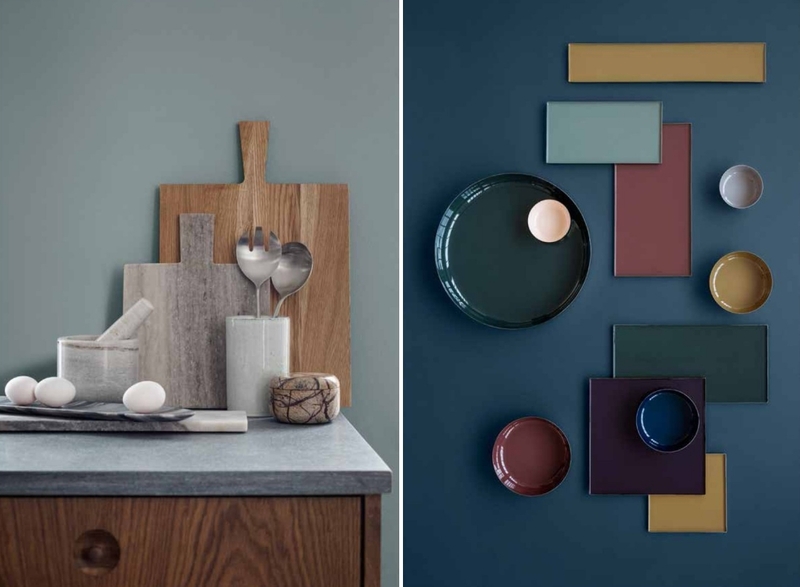 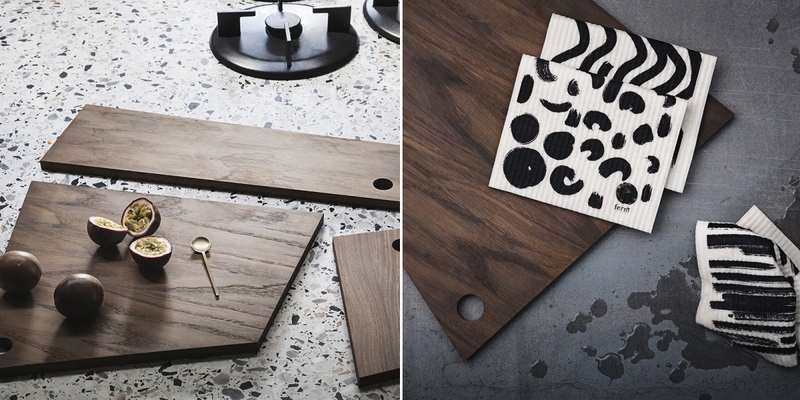 ferm LIVING’s Asymmetric Cutting Boards celebrate the beauty of solid smoked oak. 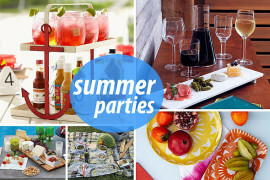 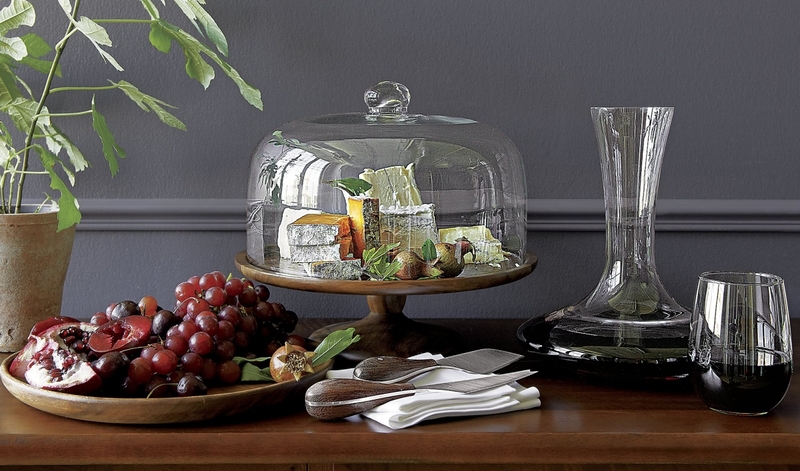 Use them for chopping, serving and displaying! 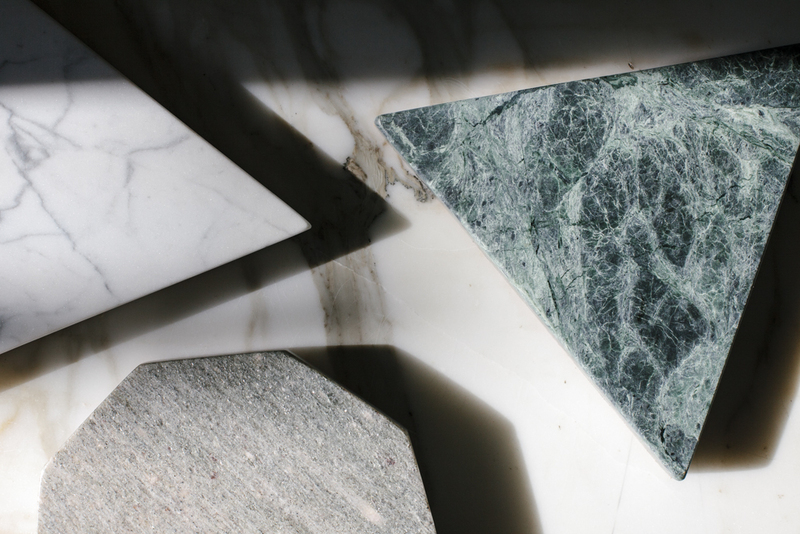 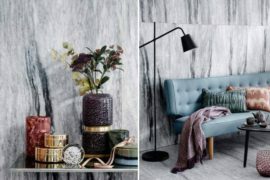 Make a statement with marble! 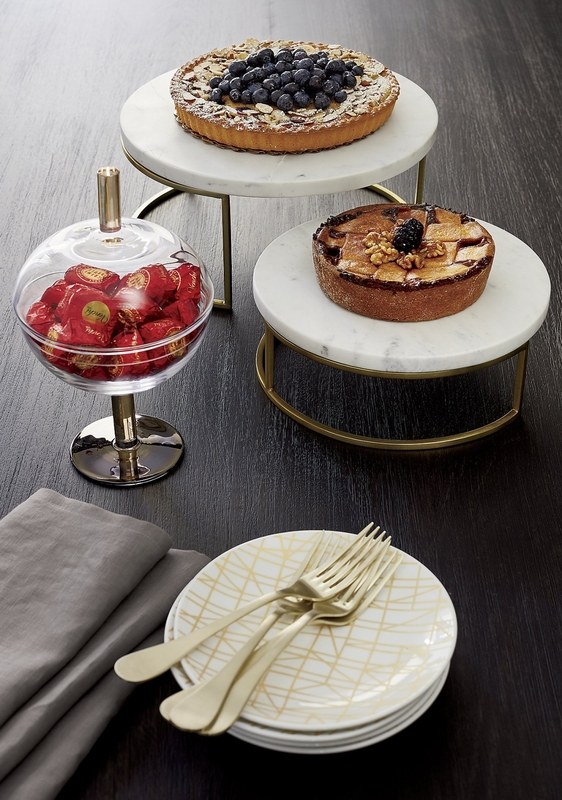 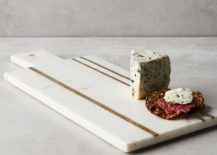 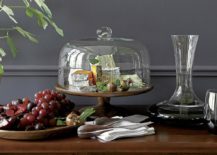 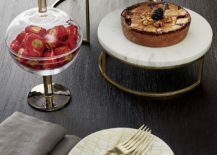 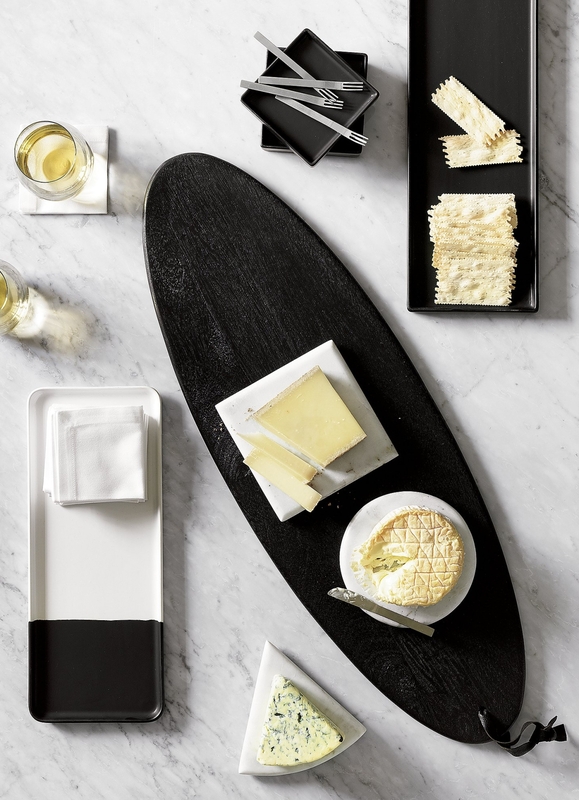 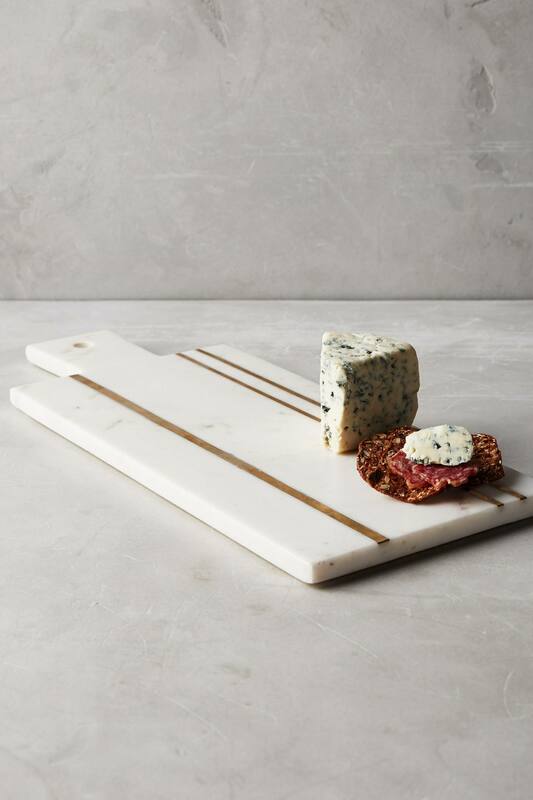 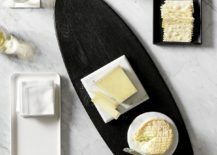 CB2’s Essex Marble Servers combine honed white marble with a metallic base for an ultra-sleek presentation. 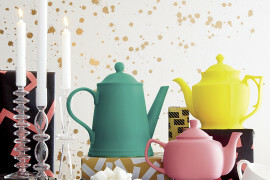 These eye-catching pieces also make great gifts. 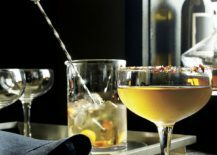 Don’t forget about cocktail hour! 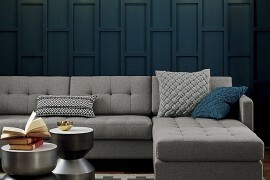 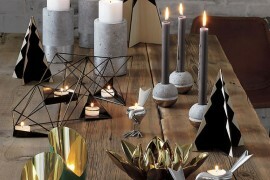 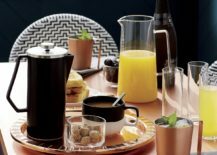 Crate & Barrel has you covered. 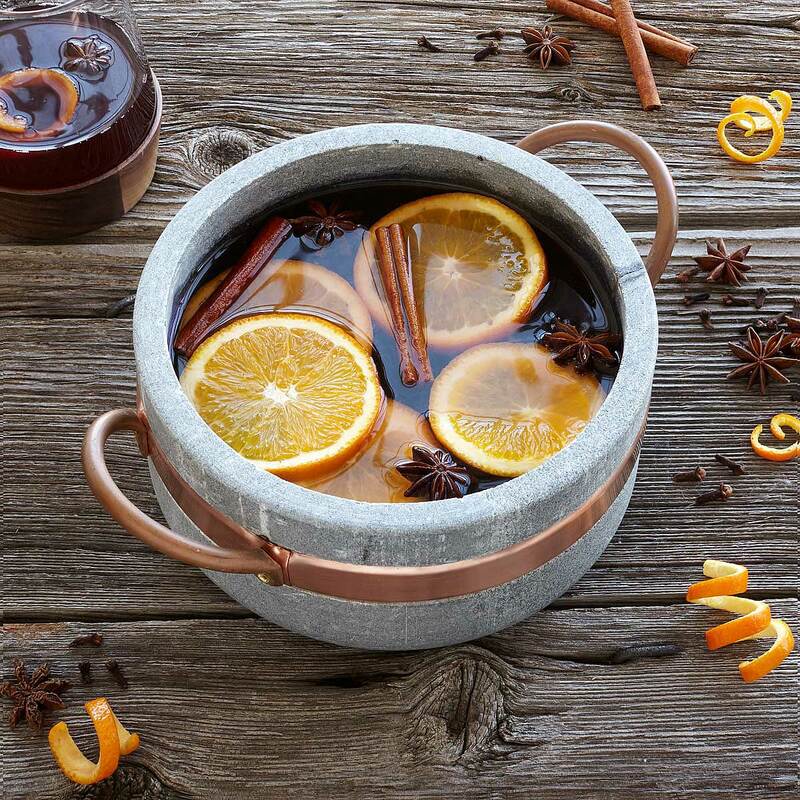 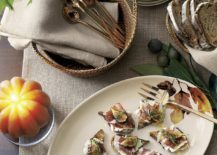 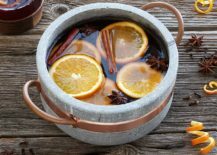 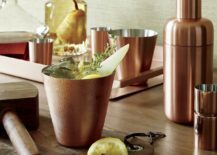 In fact, their Late Fall 2016 catalog features interesting vignettes (and even highlights a couple of fall drink recipes). 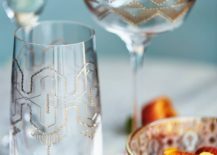 Below we see the Coupe Cocktail Glass and the Orb Tray, designed by Aaron Probyn. 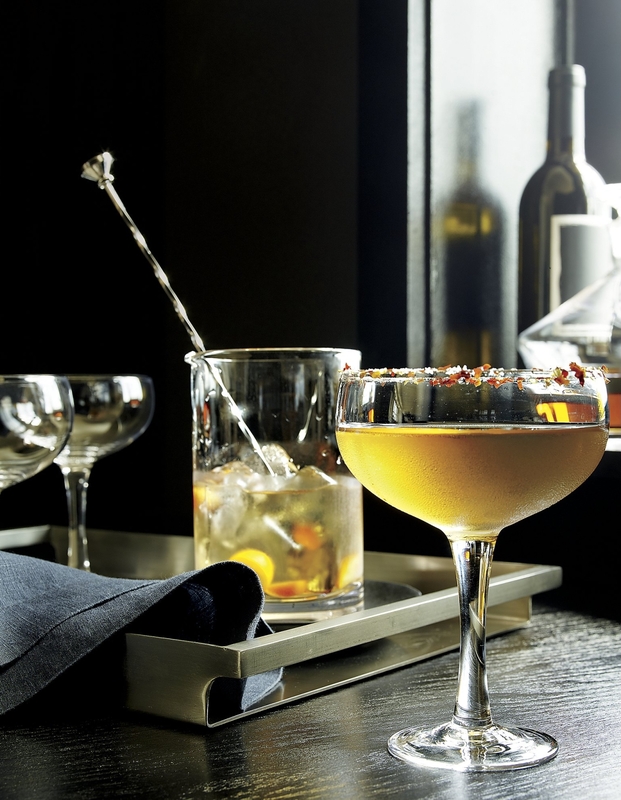 Get the recipe for the Spiced Manhattan (shown below) here! 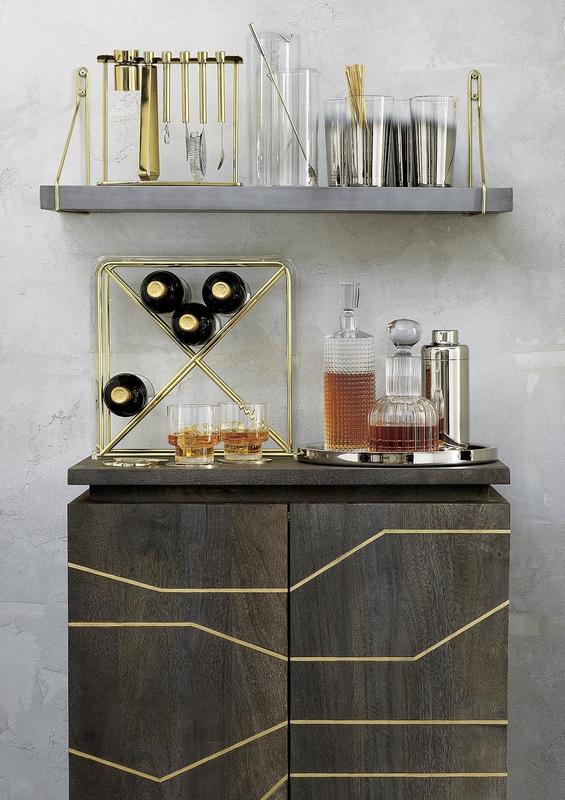 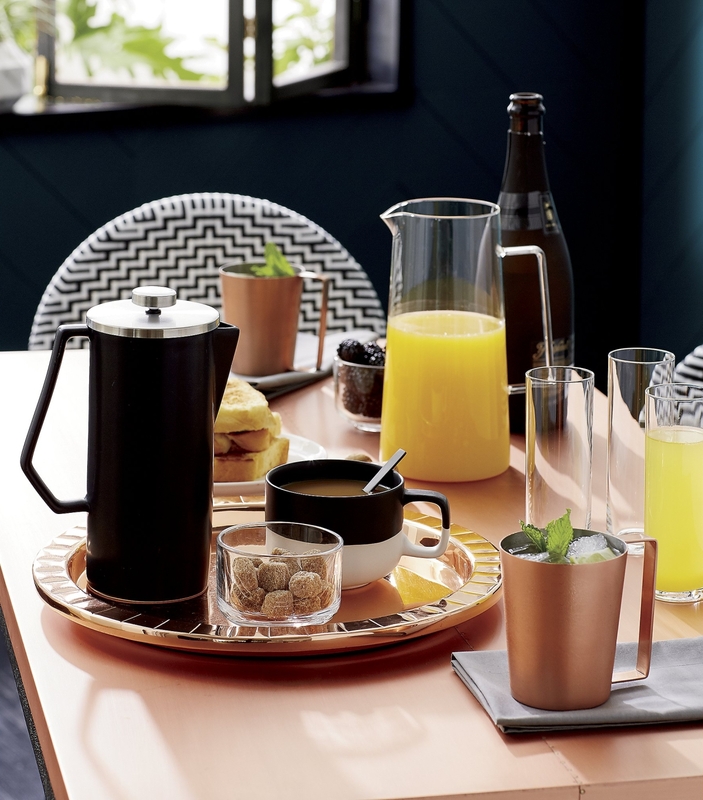 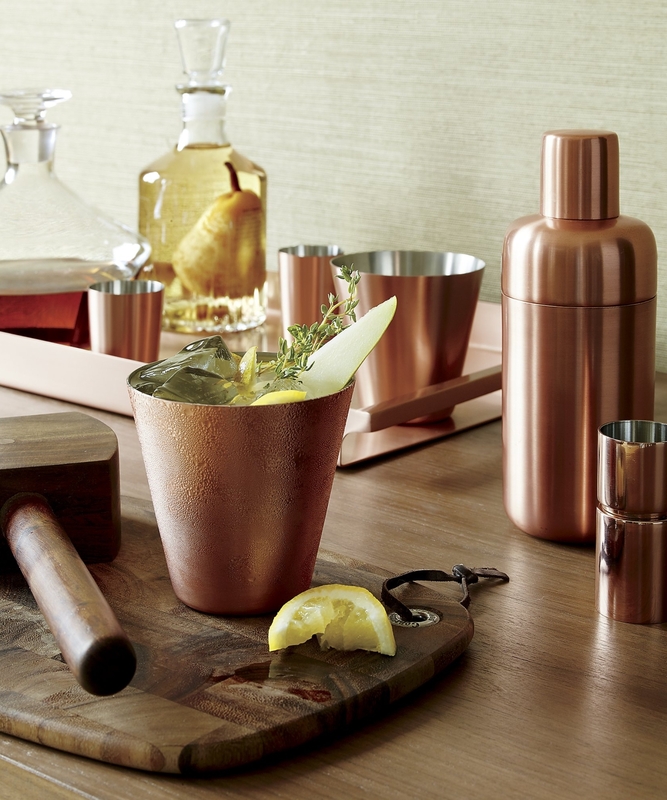 As with the rose gold flatware trend, barware can veer into copper territory as well. 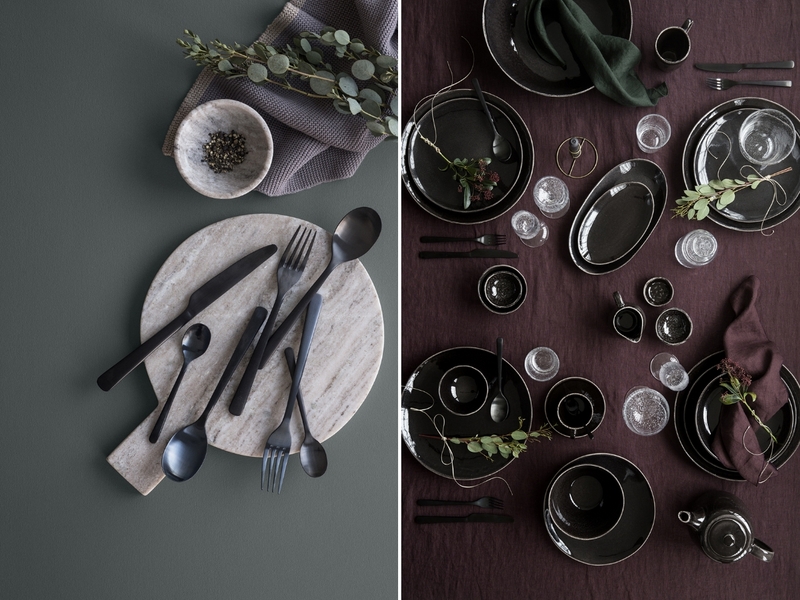 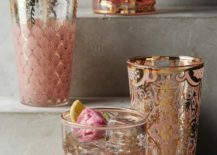 From a copper version of the Orb Tray above to the new Martin Copper Barware, sometimes all you need is a rosy-toned metallic to warm up your fall table! 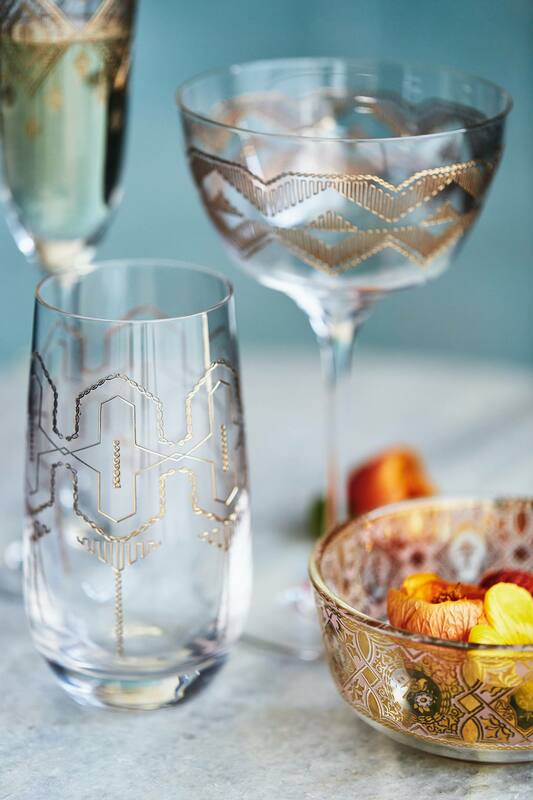 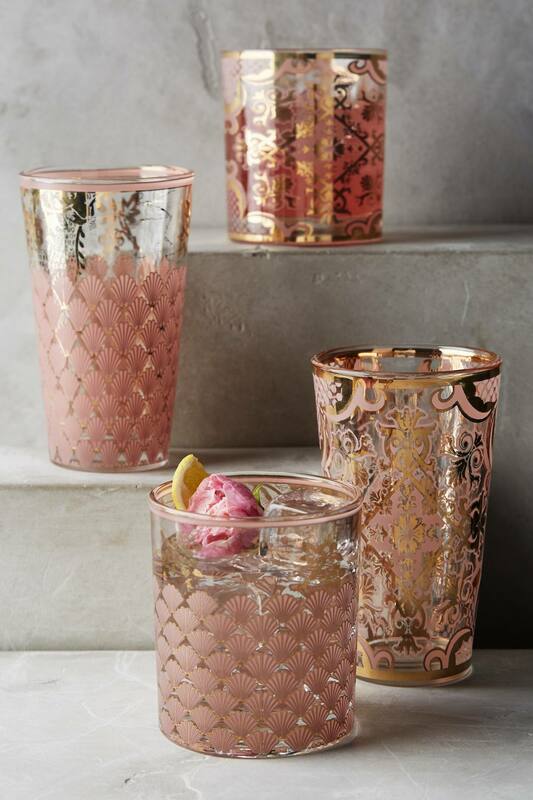 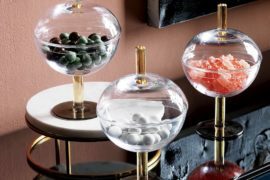 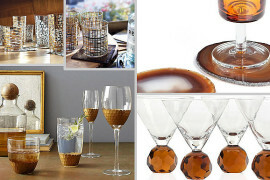 Rosy accents meet metallic shine in this new Renesse glassware from Anthropologie. 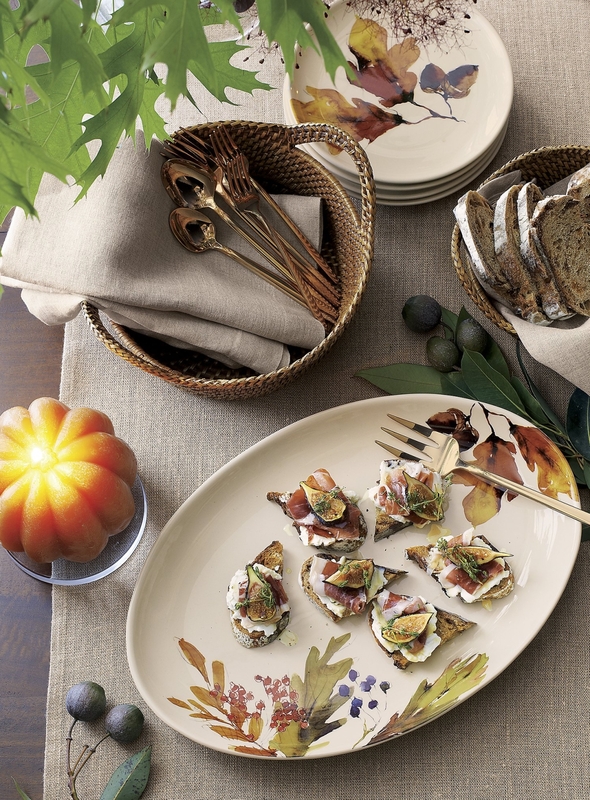 Thanks to 18K gold-decaled embellishment, your fall entertaining endeavors can be filled with detail, dimension, glamour and charm. 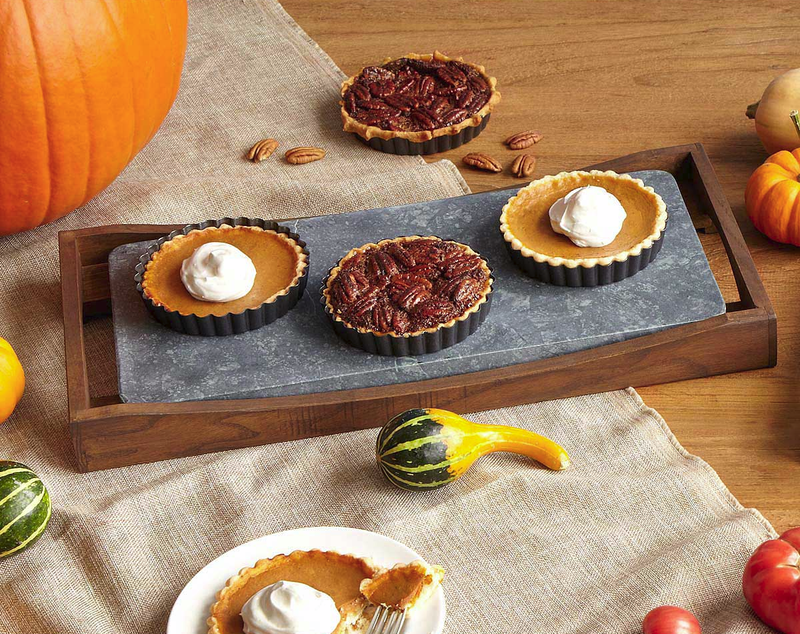 Are you gearing up for fall? 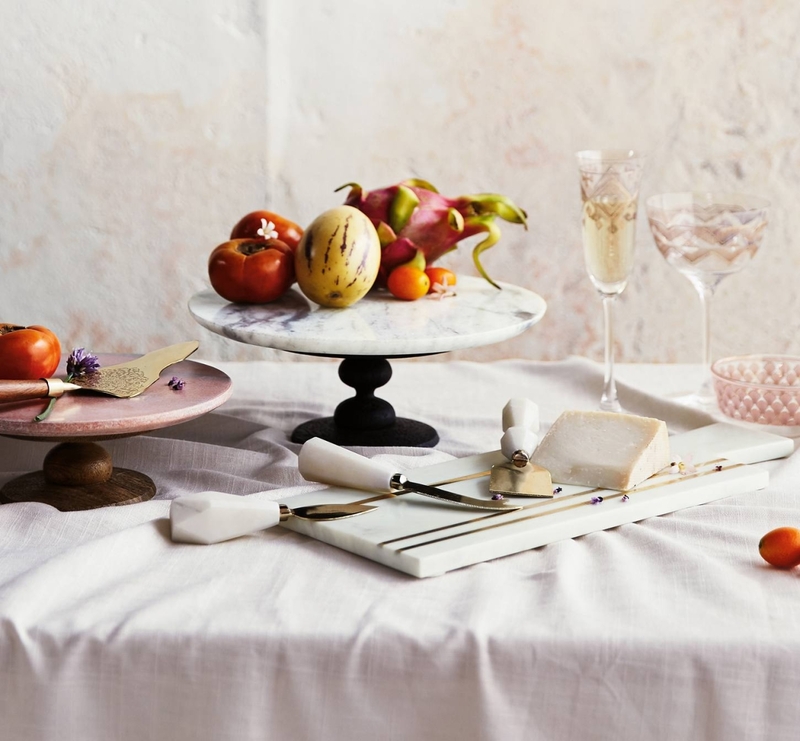 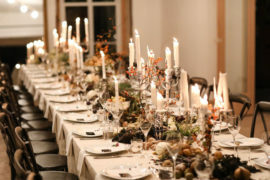 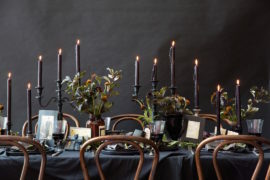 We hope today’s post has inspired you to create fun tablescapes that you can enjoy in the company of your nearest and dearest!